It is, in essence, a consumer protection scheme. It enables you, the supplier and certificated company, to provide proof that your company is competent. TPC means that an independent expert, the third party, has assessed your business and found that it has met certain standards. These standards usually relate to technical aspects of the business activities, but may also relate to other aspects of the business such as ethical and environmental qualities. This white paper addresses TPC specifically in relation to the fire safety services industry, looking at how it affects areas such as the provision of professional services and the installation and maintenance of products and systems and why businesses should choose to attain it. How does getting certificated benefit your business? Many customers know little about how fire threatens their people and their business or what their legal obligations are. Many are unaware that they have a duty to employ ‘competent persons’ and just how easy it is to set up a business in the fire safety industry. As every good salesperson knows, educating the client as to their problems and the solutions you can offer is a major step towards closing a deal. If you are a certificated company, you can clearly prove your competence and differentiate yourself from much of the competition. Those customers, who are aware of fire safety and the legal issues, as well as the value of TPC, will seek out those suppliers who are certificated, often via the scheme operator or certification body’s website. Newly certificated companies are often surprised when they get enquiries from customers they were not pursuing or even aware of. Additional sales at very little cost are always welcome. Customers who appreciate the value of TPC will generally be aware that doing the job right may cost more and should be prepared to pay a premium for it. By the same token, eliminating cut price competition means profit margins are likely to be protected. A Third Party Certification Body (or CB for short) assesses the qualities of your company by comparing it with the requirements of a particular scheme. If your business meets these standards then it is issued with a certificate detailing the scope of your certification. This process is called an Audit and is carried out when your organisation is first certificated and then periodically (typically every six months) to maintain the certificate. Your company (the Certificated Organisation) is permitted to claim compliance with the scheme, display copies of your certificate and, in most cases, display the logos of the scheme and the CB. In the UK, anyone can write a scheme document and anyone can set up a CB. For TPC to have value to both you and to the end user, the CB and the scheme must have a high degree of credibility. In the UK, the United Kingdom Accreditation Service (UKAS) validates the authority of the CB. It is an internationally recognised organisation appointed by the government to accredit certification bodies and the schemes they deliver. Anyone can set up a CB. Therefore, only those accredited by UKAS have proven credibility. The schemes are written and administered by recognised authorities. 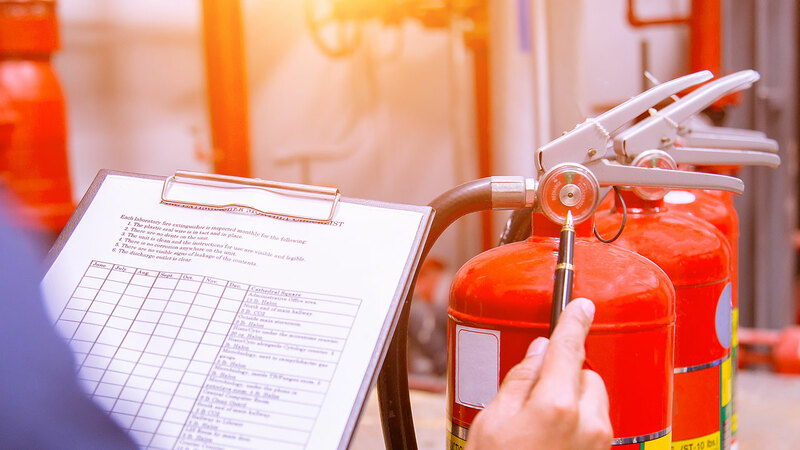 These include standard setting bodies such as British Standards Institution (BSI), CBs such as the Loss Prevention Certification Board (LPCB), or independent organisations such as British Approvals for Fire Equipment (BAFE). UKAS will only accredit a CB to deliver a scheme where UKAS is satisfied the schemes comply with international quality standards. The majority of fire safety related schemes are produced and owned by the CBs. The exceptions are those produced by national and international standard setting bodies such as BS EN ISO 9001 and those produced by independent bodies such as BAFE. BAFE is a third party registration body (not a CB) for the fire protection industry, developing schemes for UKAS accredited CBs to assess and certificate to. BAFE was originally created by the industry to regulate and raise the standard of fire extinguisher manufacture. It has gone on to develop schemes covering fire alarms, extinguisher maintenance, extinguishing systems, emergency lighting and fire risk assessment. LPCB, by contrast, evolved out of the Fire Officers Committee (FOC) which was principally concerned with sprinklers and fire alarms to satisfy the needs of the insurance industry. It too has gone on to develop schemes for various products and services. Exova (formerly Warrington) and IFC are other CBs with their own schemes for products and service, principally related to construction products, who have expanded into other areas. At first view, some schemes may look very similar. LPCB LPS1014 and BAFE SP203-1 both cover fire alarm systems. However, on close examination they are very different schemes. LPS1014 requires the certificated organisation to provide design, installation, commissioning and maintenance. It also requires the organization to be ISO 9001 certificated, either independently or through LPCB. The BAFE SP203-1 scheme is often referred to as the modular scheme as the supplier can be certificated for design, installation, commissioning, maintenance or any combination of these. While it does require the certificated organisation to have a quality management system (as detailed in the scheme) it does not require it to have ISO 9001. Both schemes have a provision for the supplier to issue a certificate of conformity for each new system. The certificate of conformity is a mandatory requirement of the LPS1014 scheme but not the SP203-1 scheme. But it is that certificate of conformity that the end user should be looking for. The certificate of conformity should provide convincing evidence to building control, fire and rescue service and insurance that the system is of good quality and fit for purpose.